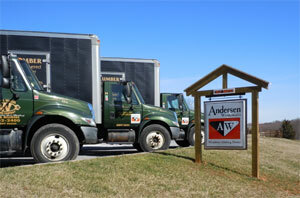 Our Trucks to Your Job Site. 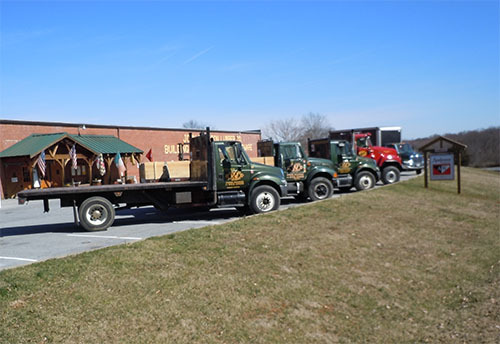 With a fleet of flatbed dump trucks, box vans and truck with trailer we can deliver your load from 8' to 48' safely & when you need it. As an interior designer, I rely on my local resources to provide outstanding service and have the selection of products that my projects demand. I've had the pleasure of working with Steve Uhlig on a interior stair rail for a customer. It looks stunning and is very sturdy. The experience has been professional and timely. This place is the Very BEST! Don't waste your time sorting through 127 sticks to find 6 good ones at the big box stores. Come to Wilson Lumber instead. Not only do they have superior lumber but someone else picks through and loads it for you. You can't beat that with a stick. Pun intended.